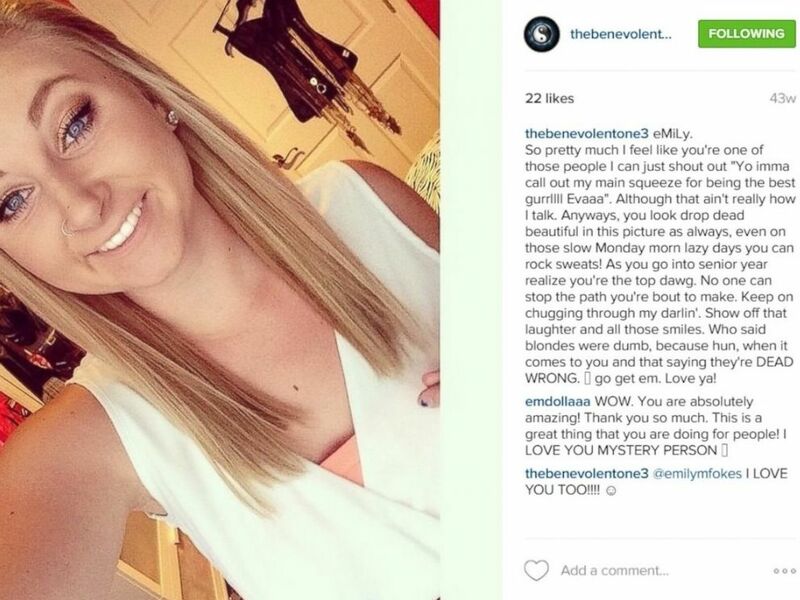 Konner Sauve created an anonymous Instagram account sharing kind words about his classmates. Konner Sauve said he gave his classmates a real shock at the end of his graduation speech on June 6 when he revealed that he was the identity behind the Instagram account, @TheBenevolentOne3, where he had been secretly posting heartfelt thoughts about students for 43 weeks. "I was nervous," Sauve, 18, who was the co-valedictorian of East Valley High School in Washington told ABC News. "It got really loud, but they were happy. Some of my close friends were like 'why didn't you tell me earlier?'" The account, which had been an unsolved mystery for almost an entire year, contained over 650 selfies and yearbook photos of students from the classes of 2014 to 2017. Every post was completed with a caption, recognizing each student for their most incredible attribute. "Everyone makes mistakes and I wanted to focus on the better aspects of people. ... To shed a positive light on each individual, make them feel appreciated, and to know that someone cares," Suave said. 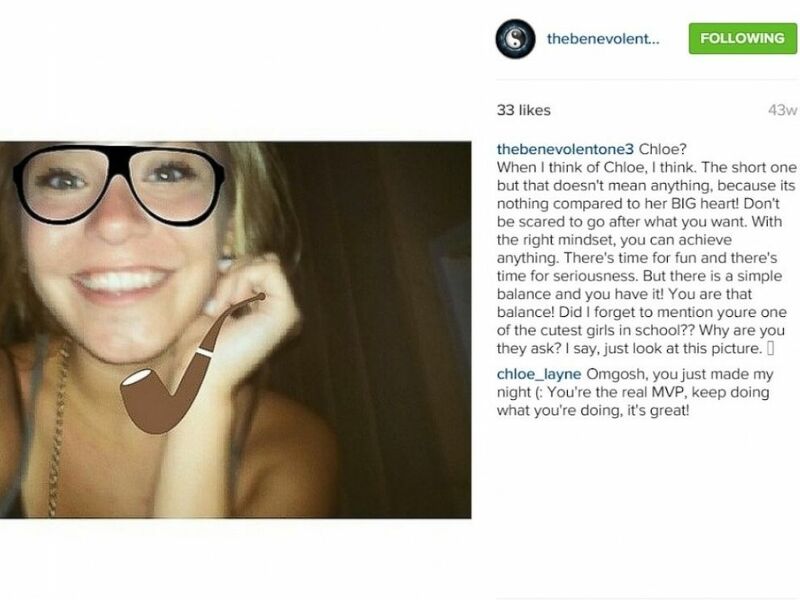 Chloe Kahan, 16, Suave's former classmate, was one of the 650-plus faces that was posted on his pseudonymous Instagram. "Honestly, I was really flattered to be one of the first people he posted and I was really curious of who it was, especially since he said I was one of the cutest girls in school," she said, laughing. "Konner went really out of his way -- for me especially," Kahan added. "I lost my dad in August and he messaged me on the account. It was really sweet and I was able to open up to him, even though it was anonymous. There's some accounts that bully others, but now we are really united and that's all because of Konner." The senior class gave Sauve a standing ovation at graduation. Emily Okelberry, 18, said she had a sneaking suspicion that Suave was behind the account. "He's always going out of his way to make others feel better," she said. "It's just a positive change and so heartwarming to have someone say these nice things about you." East Valley High School principal Dottie Say said she couldn't fight back tears when Sauve went off-script to confess being behind the Instagram account during his speech. "I couldn’t believe he was the one that did all these wonderful things for the kids," she said. "It was very positive to raise the morale and address the negativity of social media. He got a standing ovation from all of the seniors." Sauve uploaded over 650 photos of his peers and captioned them with heartfelt compliments. When asked why he kept the secret for so long, Suave gave an answer that was as humble as his actions. "I didn't want people to think 'oh it's just coming from someone we know,'" he said. "It doesn't matter who's saying it. Just know you're recognized for you are and believes in you. "I hope that even with high school and rumors and drama, that they can look at people, even someone they don't like, and be able to view them without being too judgmental. "All fall victim to negativity and it's a good way to challenge yourself. In doing so, you're helping others and you're helping yourself." Suave said that other students are carrying out the legacy he started, by creating new Instagram accounts that also feature kind, anonymous words about their peers.